Unique on the Costa del Sol? 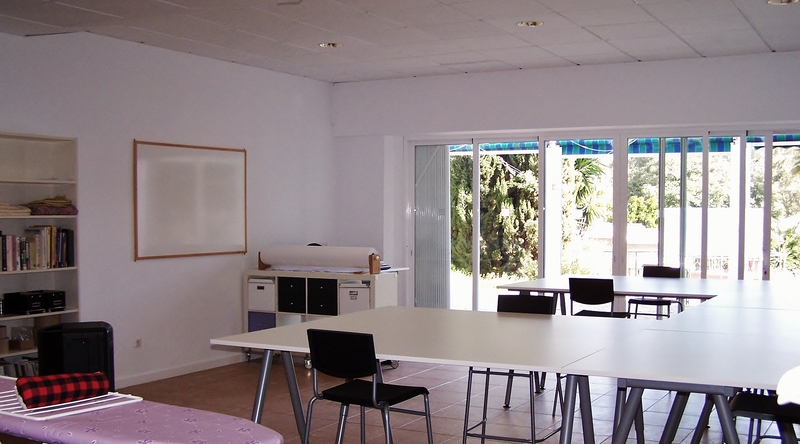 From the students who have attended our classes on a regular basis, (and they come from as far away as Gibraltar in the South and Nerja in the North of the coast), we believe we are unique in offering weekly classes and tuition to in sewing, pattern cutting and design on the Costa del Sol! Situated on the Mijas Costa, not far from junction 200 on the E-15 the toll road .Being based in the popular urbanisation of Sitio de Calahonda, we’re 30 minutes from Malaga Airport and roughly mid way between Marbella and Fuengirola. Designing, Pattern Cutting & Sewing. If you live here on the coast, why not join us for one of the Summer classes such as the ‘Swimwear Workshop’. You could even spend the morning at the beach and then, in the afternoon, come and make a new Bikini with us! For those who are on a longer holiday in the area but don’t want to spend all your time sunbathing. Learn new skills with us in the morning and then relax, swim or experience the Spanish culture in the afternoon. If you already at school here on the coast and are looking for careers advice. Take one of our summer workshops or ‘Fashion Taster’ courses and get a feel for the industry and what it can offer you, without having to leave your friends and family here on the Costa del Sol. Contact us for detailed directions. This entry was posted in The Location by Sharon Aldred. Bookmark the permalink.